If you’ve had a smartphone for any reasonable amount of time, you’ve probably installed and uninstalled more apps than you care to remember. 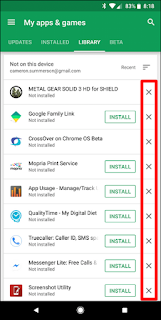 Here’s how to access a list of all the apps you’ve installed on your Android phone(s) over time. 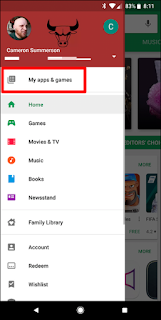 How to find old purchased apps on the Google Play Store! 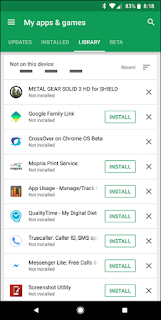 This feature is built into the Google Play Store, so you can actually take a peek at the entire list from any device logged in to your Google account. 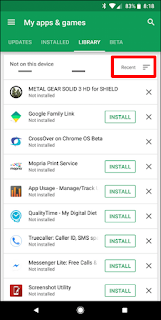 Even apps that you installed on your first Android phone should show up here (assuming they’re still available for download, of course). Also, since it’s part of the Google Play Store, the process will be the same on basically every device. 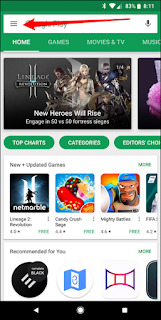 Go ahead and fire up the Google Play Store, then open the menu. To do this, either slide in from the left side of the screen or tap the three lines in the upper left. The third option should read “Library.” Tap it. 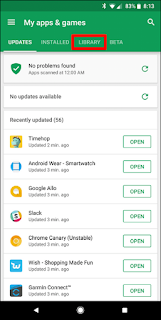 By default, this list shows every app you’ve installed in the past, but that is not currently installed on the device you’re using. That makes sense because there’s an Installed tab. just to the left of the Library tab that will show you. Everything that’s currently installed on the device. There are a few different options here to pay attention to: first, you can either choose to sort the list by Most Recent. 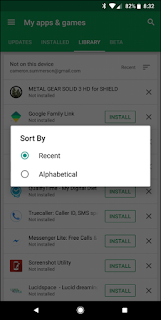 which will show you the things that have been recently added to your account, or alphabetically. Take your pick. 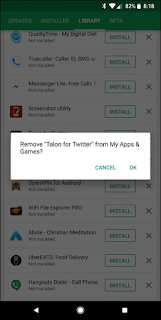 You can also choose to remove any app you’d like from this list…for whatever reason. It’s also worth mentioning that if it’s a paid app. you won’t have to re-buy it, if you ever choose to reinstall it. It’s still associated with your Google account.